The race takes place on Friday 21st June 2019 at 7:30pm. This will be the tenth year of this midsummer evening 10km road race organised by Grantham Running Club in the quiet lanes around Long Bennington. It promises to be an even better event than last year with a 900 limit and chip timing. The accurately measured course whilst not pancake flat has delivered many 'seasons best' and a few elusive pb's. This is also an ideal course to attempt your first 10k race. The HQ will be at the Long Bennington Sports Pavilion offering toilets, changing rooms and off road car parking in an adjacent field. 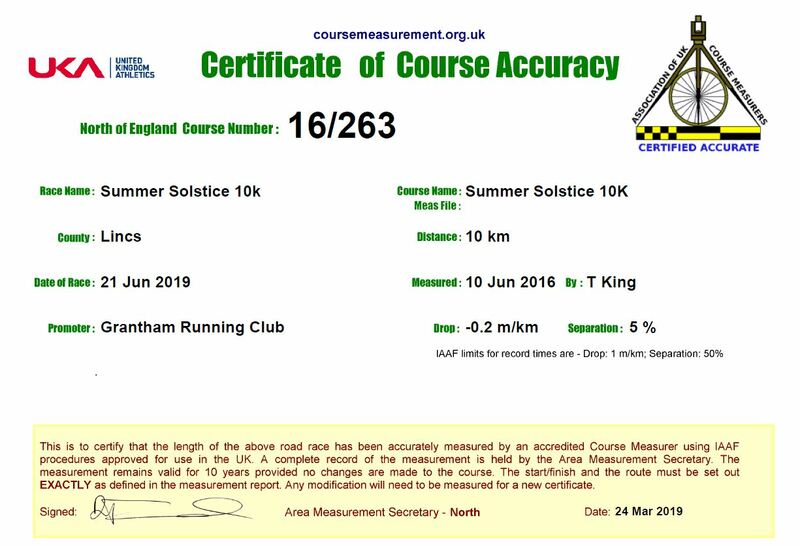 As in 2018 when entering you will be able to chose between a complimentary bottle of Summer Solstice Ale or Summer Solstice Cider (as long as stocks last, we have to order these months in advance so order 500 of each), this is for all finishers (over 18). There will also be a bar, so you can stay a while and socialise with your fellow runners/club members. Soft drinks will also be available. The Lincolnshire Runner will also be attending the event with its mobile retail stall with plenty of offers on running shoes and running clothing. If anyone wants anything specific bringing to the race just get in touch by phone (01522 523326) or email info@lincolnshirerunner.co.uk by 12 noon on the day of the race. Any shops friends please come across and say hello. 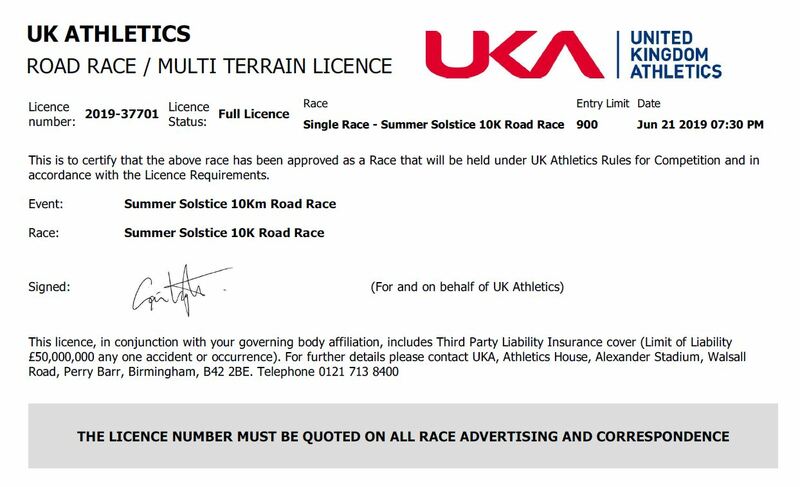 Entries close at midnight on the 16th June 2019, unless race limit is reached earlier. Please see Terms and Conditions. 1st prize for Male (4) and Female (3) Teams.